Change things up with a short trip to Hoover Dam in Boulder City (about 50 minutes away). 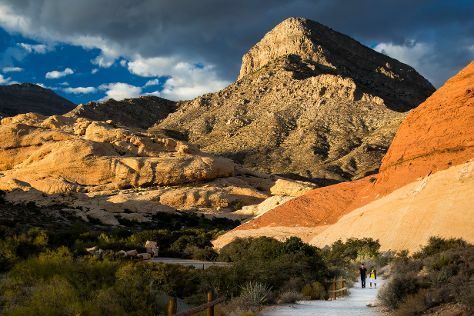 The adventure continues: explore the striking landscape of Red Rock Canyon National Conservation Area, examine the collection at The Neon Museum, shop like a local with The Strip, and ponder the design of Bellagio Fountains. To see reviews, ratings, traveler tips, and tourist information, go to the Las Vegas trip itinerary planning tool . In March, plan for daily highs up to 74°F, and evening lows to 52°F. Wrap up your sightseeing on the 11th (Mon) early enough to travel back home.